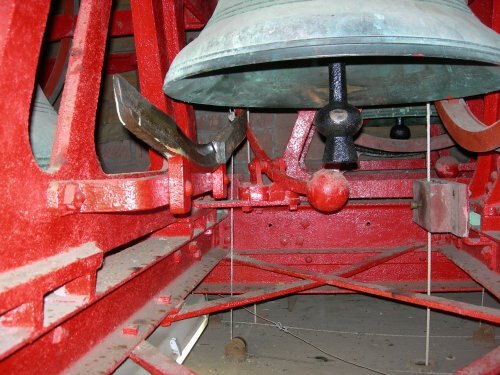 Our bells are fitted with Hastings stays. These were invented by former engineer Rev. Edward Hastings Horne in 1892 and used by Taylor’s foundry between 1895 and 1960. 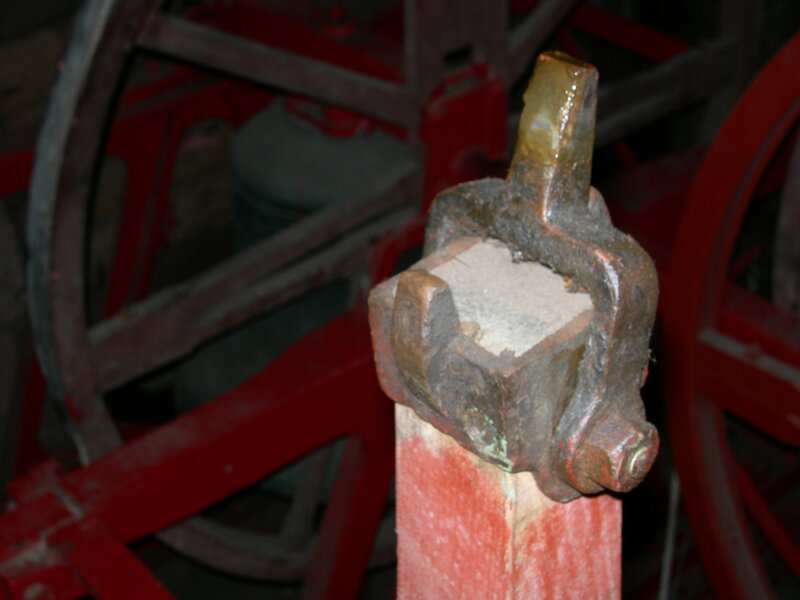 It was designed to avoid problems of excess oil from bearings clogging the wooden slider. Our ash stays are fitted with dinglers which run along a fixed iron radius slide bar . The slide bar has stops at either end against which the dingler comes to rest. To the ringer there is no difference in handling but to the steeple keeper they are a nightmare when replacing broken stays. Another good reason not to bump the stays. Adapted from The Bellringer’s Early Companion by Steve Coleman p.238 Bell Historians Email List. This entry was posted on Sun, Feb 14th, 2010 at 21:29	and posted in Uncategorized. You can follow any responses to this entry through the RSS 2.0 feed.